On March 25, the US president, while he was enjoying his moment of triumph over the alleged collusion with Russia during the 2016 elections, signed a document that recognised Israeli sovereignty over what has always been a Syrian territory. In doing so, the US has not only affirmed that it cares least about the international law and norms, but has also created a dangerous precedent that may have serious ramifications at both regional and global level, for a basic principle of the post-World War II international system has been the principle of ‘inadmissibility of the acquisition of territory by war.’ Israel had captured the Golan Heights from Syria in the 1967 Six-Day War and annexed it in 1981. But the move was not recognized internationally, and UN Security Council Resolution 242 upheld the “inadmissibility of the acquisition of territory by war.” Therefore, there is hardly any doubt that this ‘recognition of sovereignty’ comes as a blatant violation of international law and norms. Thankfully, the American citizens cannot blame anyone (read: Russia or Iran or China) but their own unpredictable president. Trump’s hand over of Golan Heights also means that Netanyahu, who is facing serious political problems at home due to his possible indictment in corruption cases and a powerful Blue and White Party led by former Defense Minister Moshe Ya’alon and former General of Staff Benny Gantz, will use the issue of Golan Heights to bolster his failing political fortunes to strengthen his position in the April elections. This ‘gift’ of Golan Heights plays perfectly into Netanyahu’s core election campaign argument about taking Israeli relations with the US to a truly un-precedented level. That Trump recognised Israeli sovereignty right after the Mueller report also means that Trump intends to fully beef up his own political position in key US constituencies—conservative Republican, American Jews (most of whom remain Democrats) and evangelical Christians—-at a time when the ground is already being flattened for presidential race next year. That both Trump and Netanyahu need each other for their political future is thus evident here, but an Israeli occupation of Golan Heights also entails geo-political implications, particularly with regards to the way Syria is emerging out of years of war and how Iran has strengthened its position in the region. However, such a message would hardly convince Damascus about getting Iran out of their country. On the contrary, such a message would only deepen their strategic alliance, and Israel will be facing even more resistance from ‘resistance front’ that Iran has been as of recently building up. It will also allow Iran to strengthen its own global political discourse about the US being the biggest violator of international law and norms. Golan Heights occupation becomes the second biggest Trump era violations after US withdrawal from the Iran-nuke deal. The Golan is only 60 km (40 miles) from Damascus and provides Israel with a strong defensive-offensive position and vantage point to observe military movements across the border. On the other hand, Syrian control over the Golan would provide Syria (and Iran) with strategic heights overlooking Israel. This declaration of sovereignty has also implications for the Palestinians who now fear a similar Israeli permanent annexation of the West Bank and thus nullify all talks of ‘solution’ to a problem that would not, in the eyes of Israel and the US, exist in such a scenario. This is probably the reason why an otherwise staunch U.S. ally and a potential Israeli ally, Saudi Arabia, has issued a very strong worded statement, condemning the U.S. decision and calling it a violation of international law. While states like Saudi Arabia have reason to be happy seeing Israel and the US taking steps to counter Iran, the fact that this step has set a dangerous precedent for the Palestinian issue, which carries a lot of political importance in Muslim countries, these states feel that such an Israeli step towards West Bank would unleash uncontrollable waves of crisis that might lead to another world war. Accordingly, Saudi statement refers also to ‘peace processes’ in the region (read: Palestine peace process) and the implications this decision about Golan Heights would have for it. There are as such wide-ranging political and geo-political implications of Donald Trump’s decree, recognising Israeli sovereignty over Golan Heights. 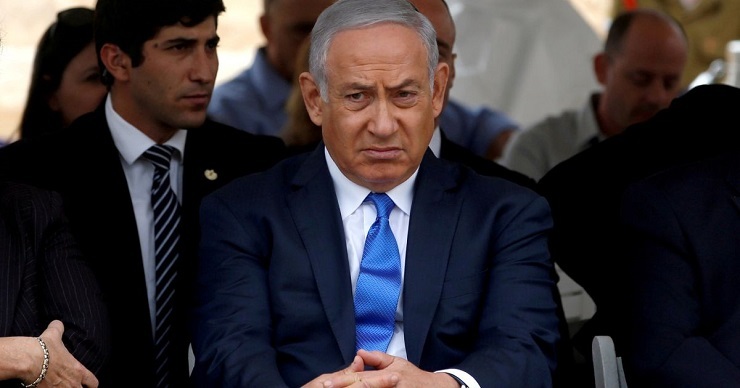 Whether or not it will benefit Netanyahu in up-coming elections will become apparent soon enough, but the fact that it will intensify conflict in the region can hardly be doubted. The US and Israel have given all the reasons Iran needed to justify and expand its ‘resistance front’ and the credit for it doesn’t go to Iran.